There are currently eleven registered member motorcycle clubs. 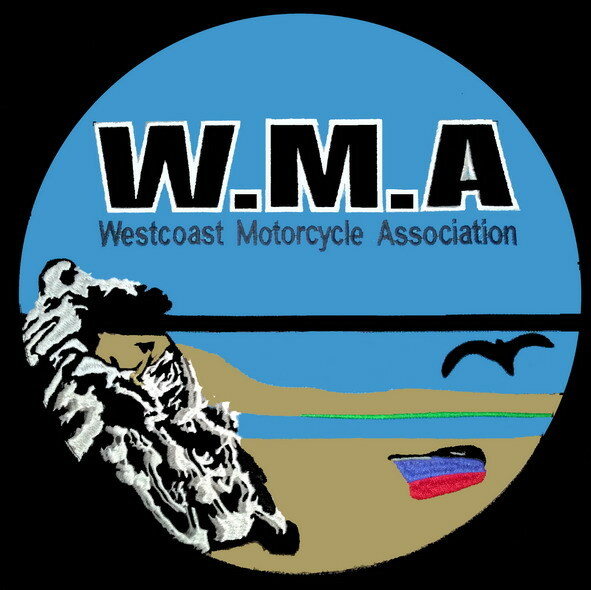 The Westcoast Motorcycle Association (WMA) was established in 2008 and some of our aims and objectives are to unite and serve bike clubs, groups and individuals, to co-ordinate and liaise the annual calendar, events and rallies and to foster interest in motorcycling. It is towards the association's aims and objectives that we promote and improve the image of biking to the general public, and to work towards supporting targeted under privileged and welfare organisations. After a couple of years of inactivity, Dennis Robinson revived the association when he relocated to Veldrift. 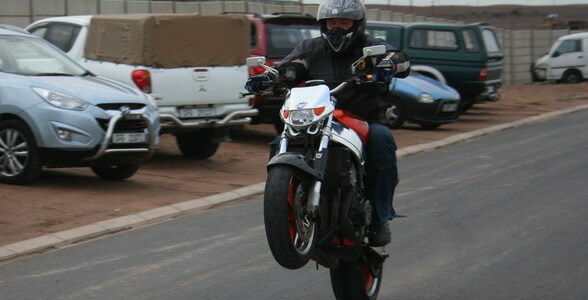 Being actively involved in the Cape Town based motorcycle association he brought a lot of knowledge with. Shortly after the WCMA was up and running again with an interim executive leading the way. Since then the WMA has been going from strength to strength. WCMA events are organised for the benefit of all motorcyclists and the general public as fund raisers, not only for the association but also for selected local charities and the specific clubs.. The Association also has a "buddy fund" which is seperately administered for the purpose of assisting bikers in general on the Westcoast. The subscribed clubs have their own annual events as fund raisers for the club and their respective charities, or purely just for fun. All participating clubs are committed supporters of each other. A yearly calender is published as part of this publication. Club events are co-ordinated by the WMA. These include yearly WMA charity or normal events as well. Joining the WMA as an affiliate member shows support for the local biking community. Affectionally known as the "Stofmoffies" are a group of riders from Veldrift who prefer gravel and dirt and does not belong to any official club. They are great supporters of the association. Any independent association can join. Our 5% discount scheme was initiated by our then vice-chairman Thomas Ashbury. Local Western Cape businesses were roped in offering a minimum of 5% discount for card carrying members of the WMA. Our local businesses who are always prepared to sponsor goodies for prices at WMA events. A great opportunity to get exposure and business from local bikers. Biker friendly businesses join as affiliated members. One of the most frequent questions we get is "where does the WMA (or similar associations) get their mandate from". Within most geological areas an association is present which duty is to promote biking amongst bikers as well as the general public. These associations are managed and run by representatives of member clubs without compensation and with subscribed club members. An executive is elected amongst these clubs (within the association) which normally consists of a chairman, a vice chairman, a treasurer and a public relations person. In some cases (as in ours) there is a general secretary as well. In short all local club presidents in the prescribed area mandates the association with their tasks. Another group referred to as the Task Team are mandated to help, assist and guide existing as well as potentially new clubs regarding accepted protocols and procedures. This team also combines volunteer members from all clubs / associations in that particular area to assist in their duties. Regular meetings between the presidents / vice presidents (referred to as the G2G), the association and the Task Team happen and feedback is given to the G2G. Protocols are needed to ensure the happy and uniform co-existence of registered and recognised clubs in any area.